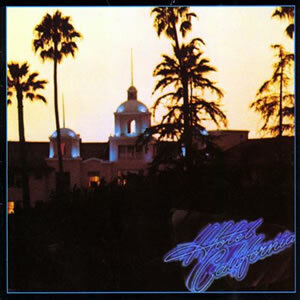 Hotel California is the title song from the Eagles' album of the same name and was released as a single in February 1977. It is one of the best-known songs of the album-oriented rock era. Writing credits for the song are shared by Don Felder, Don Henley and Glenn Frey. The Eagles' original recording of the song features Henley singing the lead vocals and concludes with an extended section of electric guitar interplay between Felder and Joe Walsh. The song has been given several interpretations by fans and critics alike, but the Eagles have described it as their "interpretation of the high life in Los Angeles".